Scroll down to see a range of videos about Touch Drawing and SoulCards, from brief introductions to longer talks and interviews. Find written articles and recorded interviews here. Filmed by Kevin Tomlinson, Heaven Scent Films. Edited by Leah Franks. Watch an image emerge from my own point of view as I sit on the beach and draw. 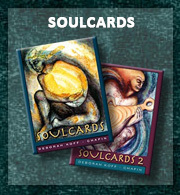 Why do you love SoulCards? An intimate experience – a Touch Drawing being created in one minute. I was the first presenter in Renee Baribeau’s I AM Symposium, a Winter Solstice virtual conference, Thursday December 21. I did something I had never done online – creating Touch Drawings that emerge in attunement to the energies of the solstice. I had two zoom accounts. One served as the camera for me to talk. The other camera was focused directly on the drawing board from above so you can really see the drawings as they are being created. Part 1 delves into how I came into my identity as an artist, what lead to the emergence of Touch Drawing, subtle aspects of my way of facilitating, and the healing power of creative process. 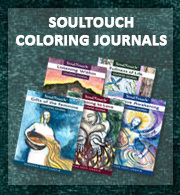 Part 2 covers the challenges of sustaining a creative life over the long haul, the creation of the SoulTouch Coloring Journals, and suggestions on how to engage your own creativity. Deborah brings her journey of sharing Touch Drawing with the world back to her home on Whidbey Island. A 15-minute TED-style talk filmed during Women of Whidbey 2015. This event is organized by Seriously Fun Productions, with videography and editing generously donated by Whidbey Telecom. Watch this magical video about this annual event held in a pristine meadow in eastern Washington. Deborah’s thoughts and images are sprinkled throughout. 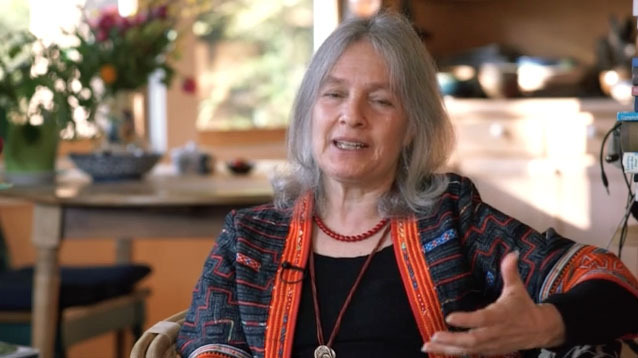 This video captures the journey of the collective psyche through the lens of our interpretive Touch Drawing artist, Deborah Koff-Chapin. 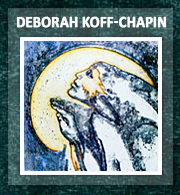 She created divinely-inspired images of our time together during each day of the summit. Filmed at the New Story Summit: Inspiring Pathways for our Planetary Future, that took place at the Findhorn Foundation and Community in Scotland, September 2014. Select drawings were used as section headings for the film The New Story. See all the images she created in the New Story Summit gallery. Reflections on Touch Drawing filmed at the Touch Drawing Gathering. Includes live footage of drawing and sharing in circle at the Gathering. 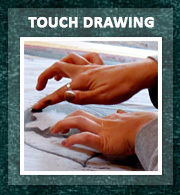 See the essence of Touch Drawing in one minute. Deborah creates a Touch Drawing in her studio, filmed by her daughter Aleah Chapin.